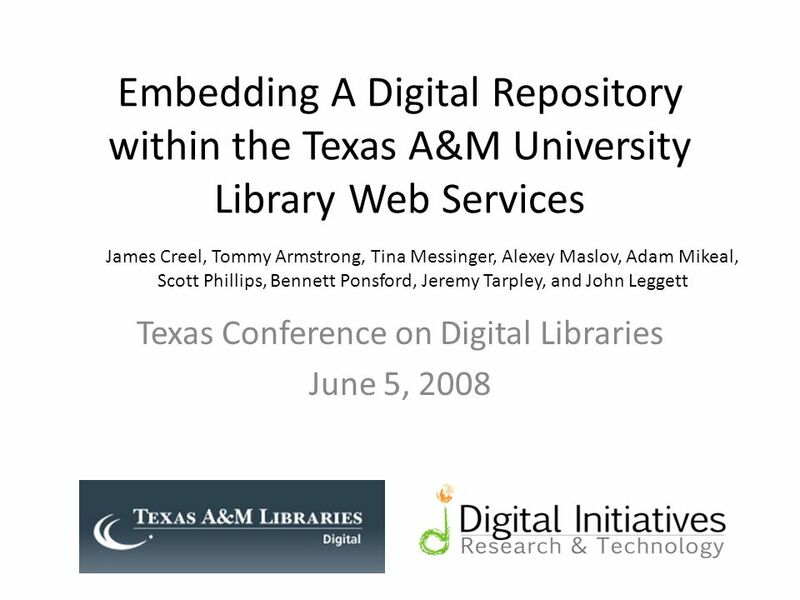 Embedding A Digital Repository within the Texas A&M University Library Web Services Texas Conference on Digital Libraries June 5, 2008 James Creel, Tommy. 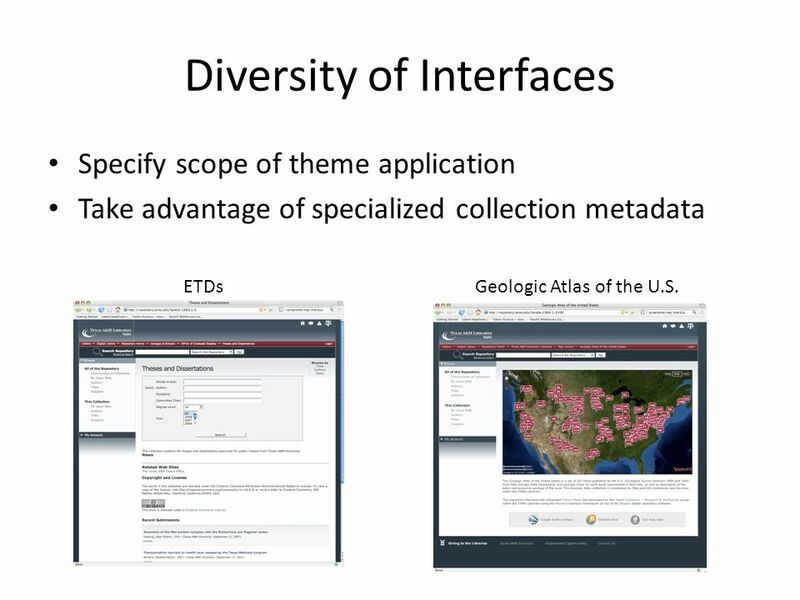 9 Diversity of Interfaces Specify scope of theme application Take advantage of specialized collection metadata ETDsGeologic Atlas of the U.S.
Download ppt "Embedding A Digital Repository within the Texas A&M University Library Web Services Texas Conference on Digital Libraries June 5, 2008 James Creel, Tommy." Adding OAI-ORE Support to Repository Platforms Alexey Maslov, Adam Mikeal, Scott Phillips, John Leggett, Mark McFarland Texas Digital Library TCDL09. Dublin Core for Digital Video: Overview of the ViDe Application Profile. What Kinds of Material Can Be Submitted?. 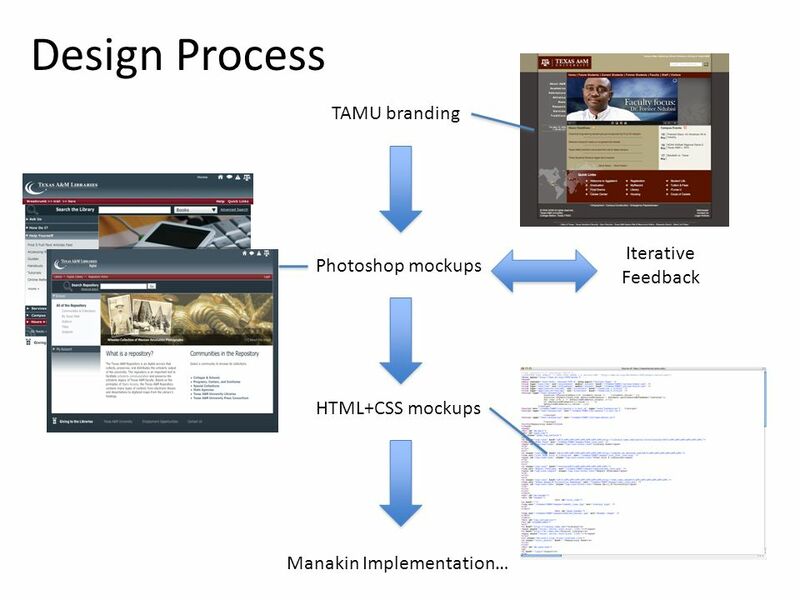 UT Scholars can submit most forms of digital materialstext, images, video, or audio files – to the UT Digital. Introducing Vireo ETD Submittal and Management for DSpace Adam Mikeal, Scott Phillips, John Leggett, Mark McFarland Texas Digital Library. Digital Collaboration Effective Partnerships & Repository Management Texas Conference on Digital Libraries May 24, Austin, Texas. ETD Management in the Texas Digital Library Adam Mikeal Texas Digital Library ETD 08 Aberdeen, Scotland June 6, 2008. IRRA DSpace April 2006 Claire Knowles University of Edinburgh. 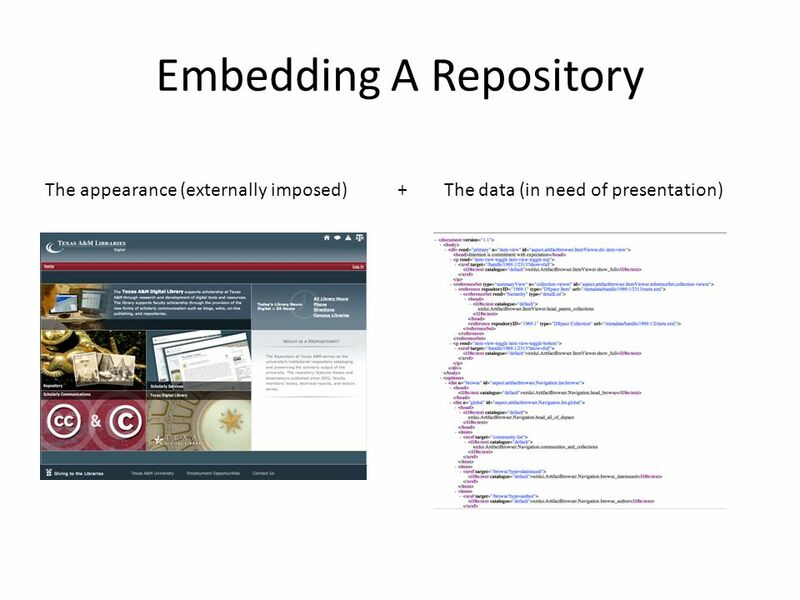 Metadata for Digital Content at the Library of Congress Jane Mandelbaum Information Technology Services Library of Congress May 2009. 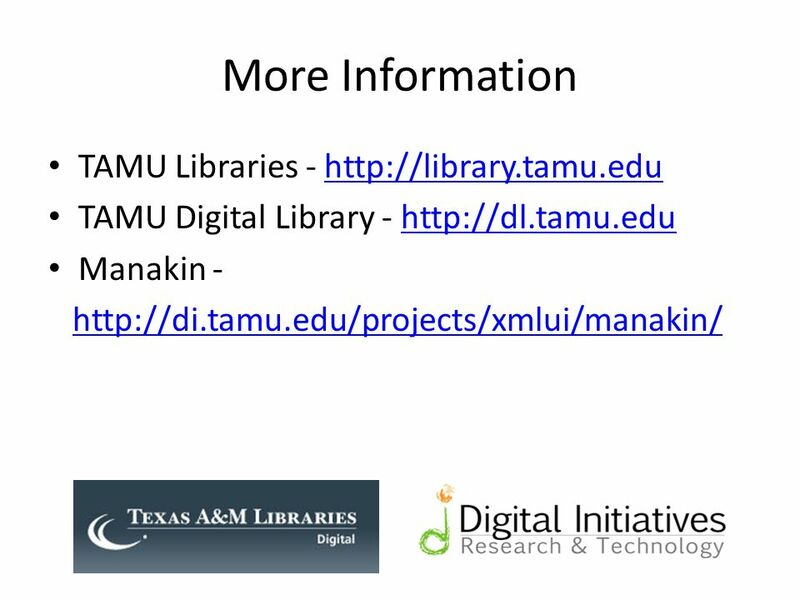 Data Life Cycle Management Mark McFarland – University of Texas/Texas Digital Library John Leggett – Texas A&M University/Texas Digital Library. 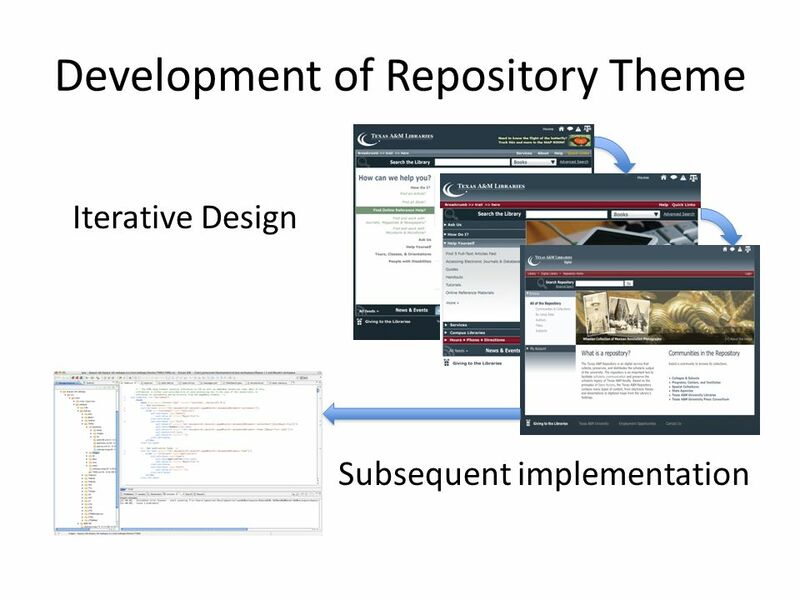 Integrating Scholarly Repository Services into Consortial Organizations and Statewide University Systems Marlee Givens & Keith Gilbertson Georgia Institute. 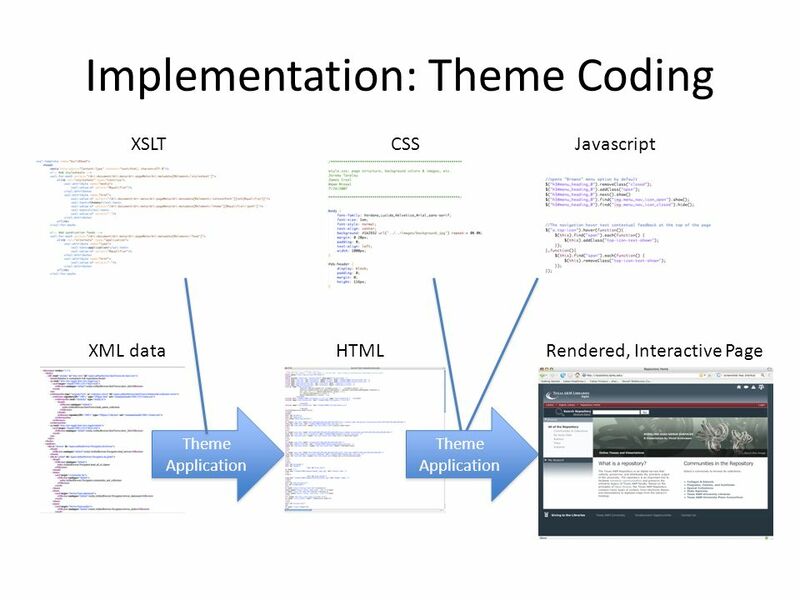 Cascading Style Sheets Understanding styles. The term cascading describe the capability of a local style to override a general style. CSS applies style. Writing Open Source Software David Kane WIT Libraries. User Controls, Master Pages, GridView. 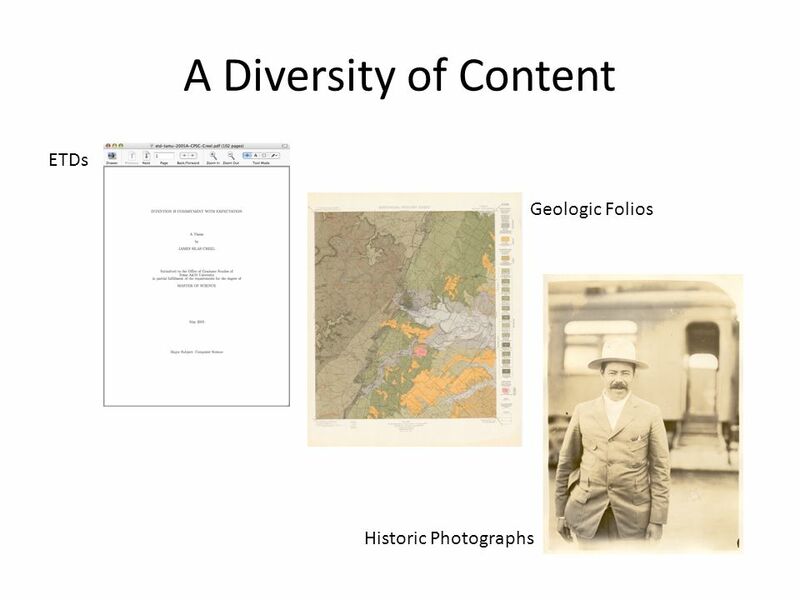 Content User Controls Styles, Themes, Master Pages Working with Data GridView Muzaffer DOĞAN - Anadolu University2. 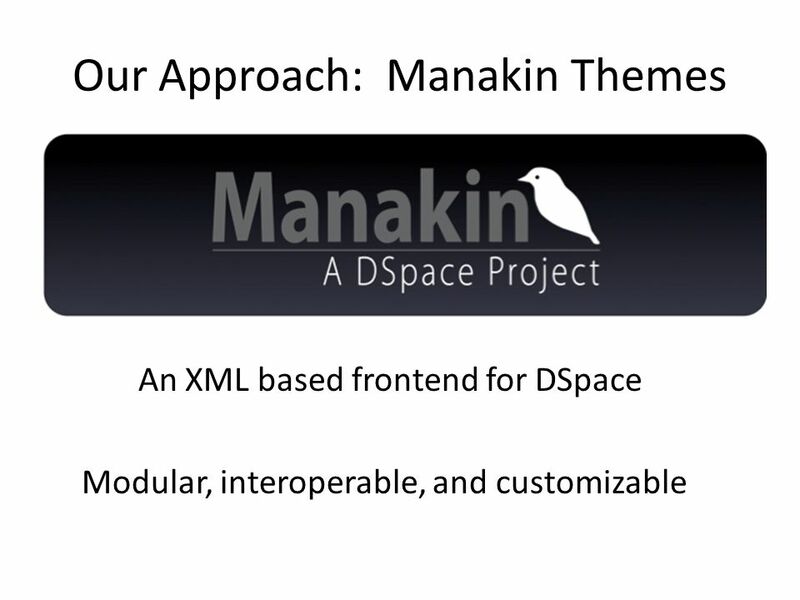 CUSTOMIZING DSPACE 1.5 WITH BASIC OVERLAYS Open Repositories 2008 Tim Donohue Research Programmer IDEALS University of Illinois Graham Triggs Technical. UCLA Digital Library Program Digital Library Program Tech Talk October 28, 2004.